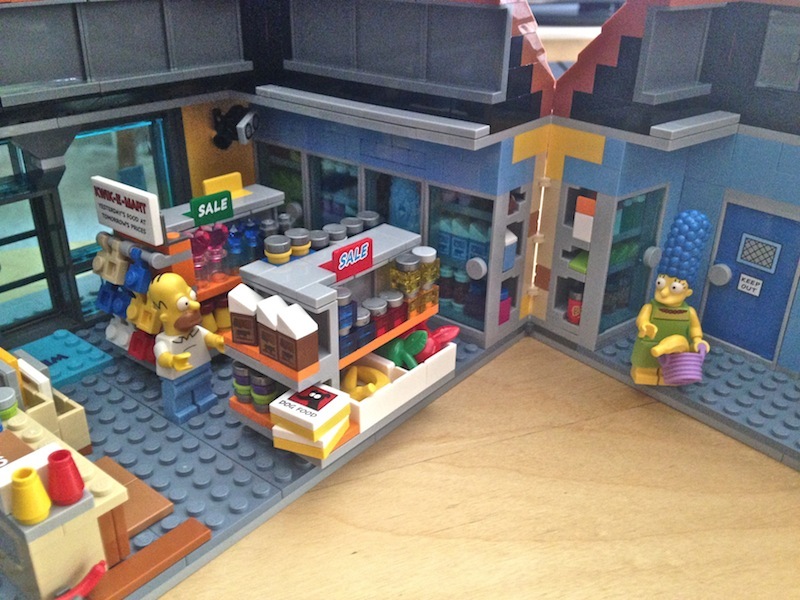 My Lego-tastic, Simpsons-tacular Reward Weekend | Keep It Up, David! SNACK TIME! Everybody gets a grape! 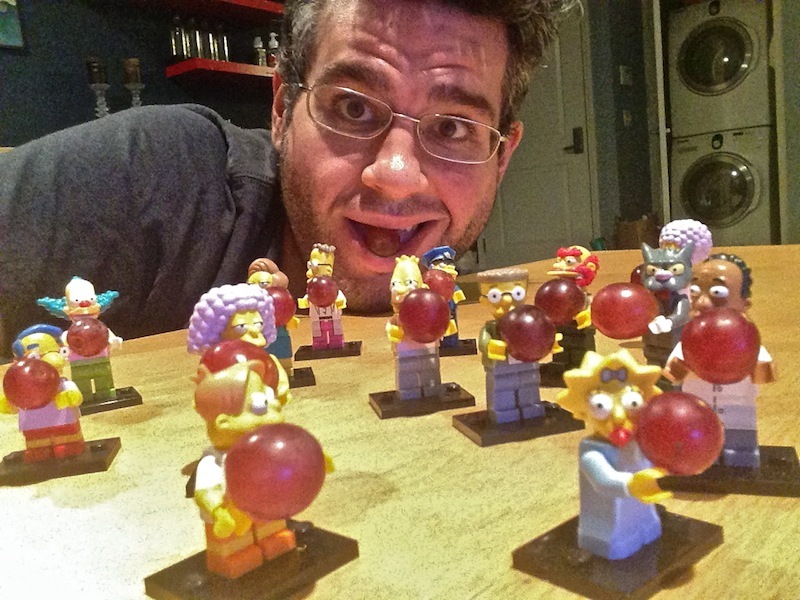 I went a little bonkers over the weekend with my Lego Simpsons minifigures. But with good reason.. I EARNED IT! In July, I started the Bowflex Summer Strong Challenge, a 30-day program designed to increase your strength training. 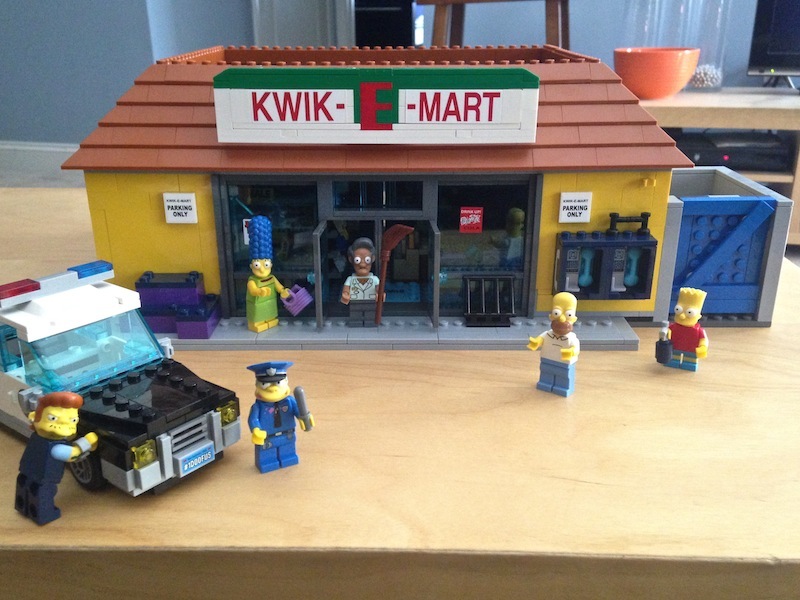 I gave myself an incentive to complete the program: only after doing all 30 days could I build the Lego Simpsons Kwik-E-Mart that I had been drooling over for months. Well, I finished the challenge (and it was fun! ), so on Saturday, I got to work building. 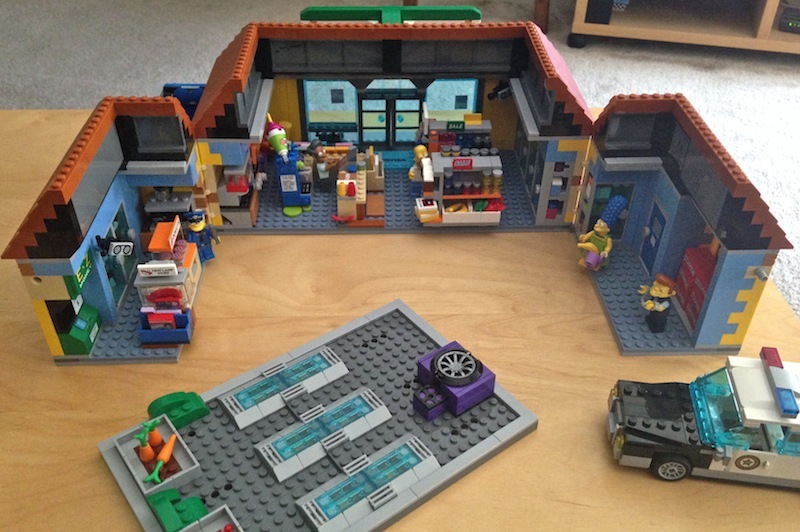 The Lego Kwik-E-Mart is no joke – it has 2,179 pieces, and the manual is 254 pages. I knew it was going to take me a long time, so I set aside most of the entire day – after going to the gym, of course (it was leg day). I started at 2pm… and snapped the last brick into place 11 hours later, at 1am. MARATHON LEGO SESSION! I was geeking out the entire time. 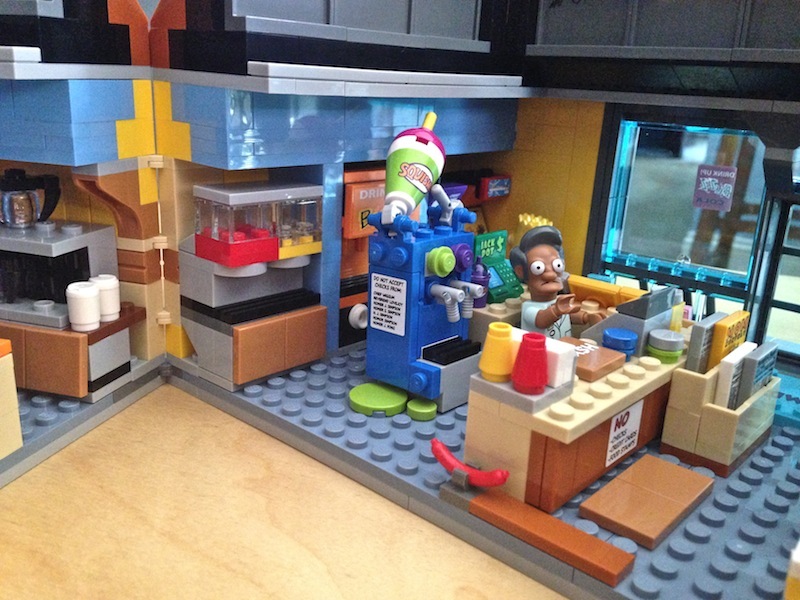 I’m a huge fan of both Lego and The Simpsons, and they incorporated so many awesome details and references to the show. I tweeted dozens of photos (go to my feed and scroll down) and broadcasted updates throughout the day on Periscope (I’m ‘keepitupdavid’ on there, too!). Wiggum’s police cruiser comes with it. There’s a dumpster in the bin to the right, and in the dumpster are… little bags of trash! The roof comes off and the back opens like a dollhouse so you can see the interior. The shelves all have merchandise – including Krusty O’s cereal and diapers, and there are security cameras, too! The Squishee machine has two flavors, and the green flavor is leaking! There are magazines in the magazine racks, and in the far corner, arcade games. 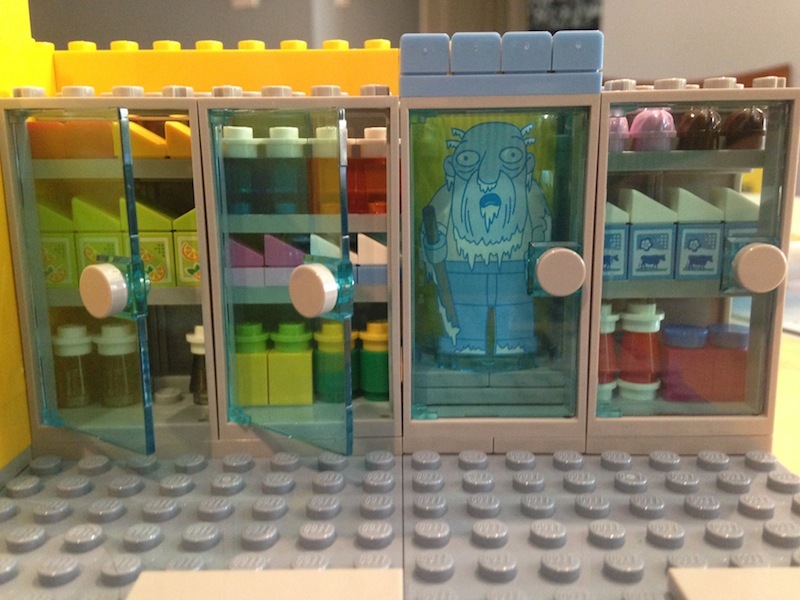 A great touch from a classic episode: Jasper, frozen in one of the freezer cases. (He froze himself in there so he could see the future.) The other cases have merchandicse, including cans of Buzz Cola that have little pull-tabs. 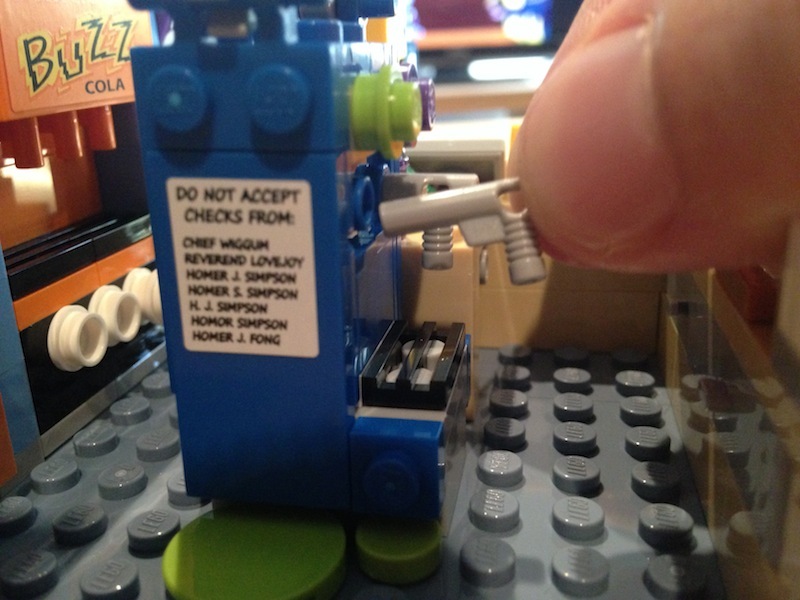 One of my favorite clever touches are the nozzles for the Squishee machine – they’re made out of classic repurposed Lego guns! This set uses a bunch of standard Lego pieces in unexpected ways. 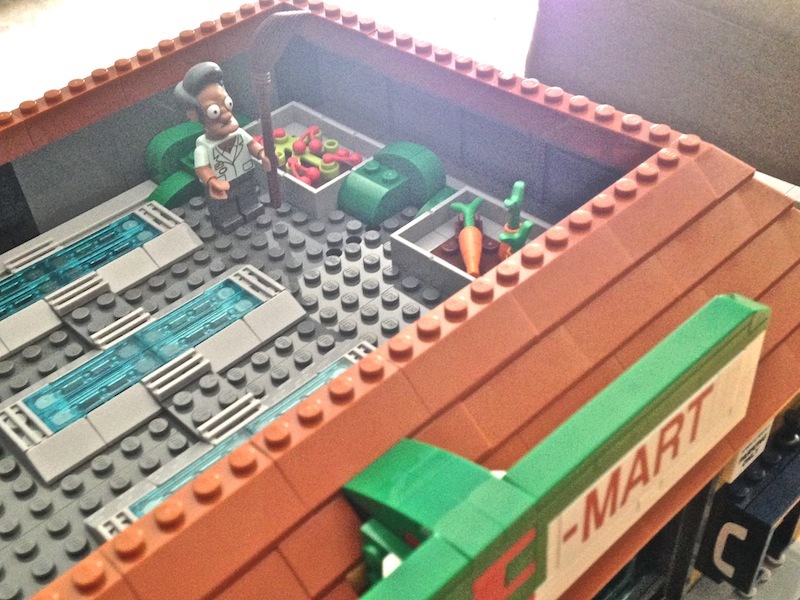 Another favorite thing is Apu’s vegetable garden on the roof. This is from the episode where Lisa became a vegetarian – Apu brought her up there and introduced her to Paul and Linda McCartney. After 11 hours on my bum, I was ready to be active again. So on Sunday, I met my friend Madeleine and we worked out at one of my favorite venues, the Hillside Theatre on the Occidental College campus (see lots of pics here). It’s a Greek-style outdoor theater, with tons of stairs up eight different aisles, and Madeleine and I ran them, did drills, ran them more, and did push-ups and sit-ups. Oh – and it was nearly 100 degrees out, so we stayed in the shade as much as possible. I finished the workout with three sprints up the longest aisle (74 steps), and we Periscoped them. I did all three sprints between 17.9 and 18.9 seconds (nice consistency!) and it was fun to do them while people watched live. I brought a gallon of water with me, and by the end of that workout, most of it was gone. Monday was a rest day… well deserved! This entry was posted on Tuesday, August 18th, 2015 at 12:14 am and is filed under Uncategorized. You can follow any responses to this entry through the RSS 2.0 feed. You can leave a response, or trackback from your own site. This is way too cool. I want to play with all of this!!! No, it’s not way too cool. It’s even cooler than that!